This spring frame with cartoon bunnies & blooming flowers suits many occasions. Use it to make a romantic ecard or a beautiful greeting card for Easter or Mother’s Day. These cute rabbits in love will easily melt your beloved’s heart! It is a nice idea to remind of your feelings with the help of a lovely floral card, especially when it is adorned with funny bunnies. Use your own images to add a personal touch to your ecards. Be sure to choose light-toned photos as they look the best with this beautiful frame. You can use this romantic flower frame with cartoon rabbits in different ways: to create a baby card, a greeting card for spring holiday or to amaze your loved ones. 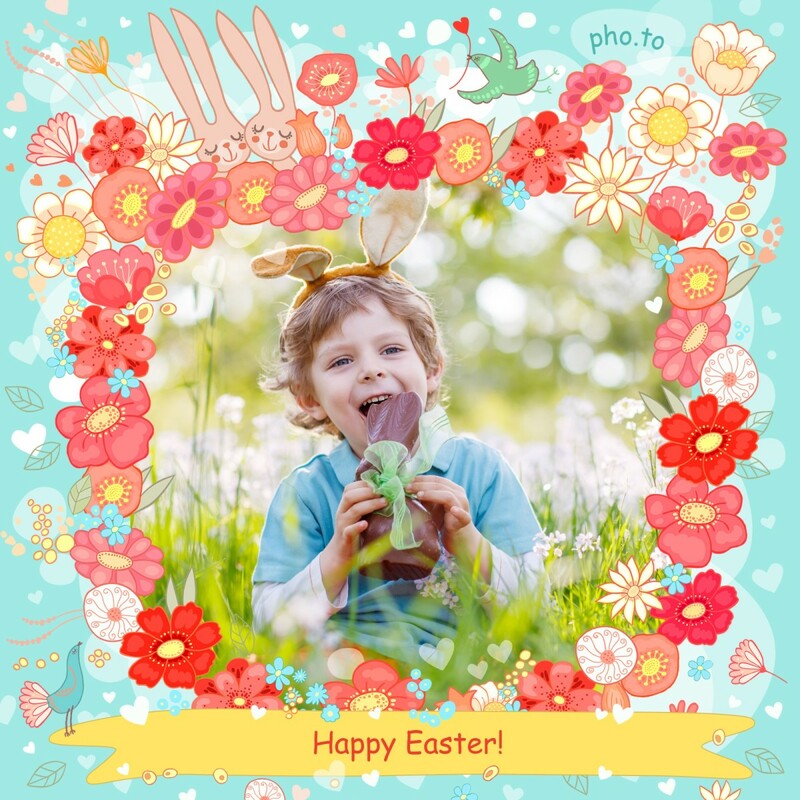 Believe us, you can’t go wrong if you choose this photo template to make a greeting card for Easter or Mother’s Day or to make a wedding invitation card. If you like cartoon-style ecards, check another spring frame with cartoon birds.